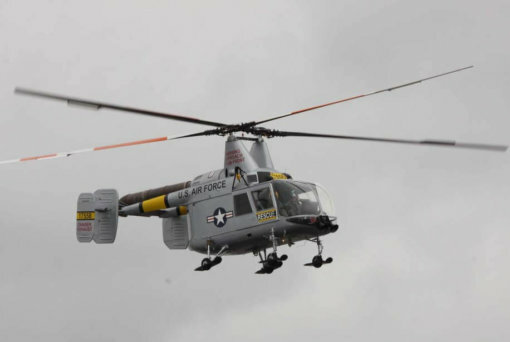 The Kaman Huskie series of helicopters used an unusual system of intermeshing contra-rotating rotors controlled by servo-tabs on the blades which avoided the need for a tail rotor. 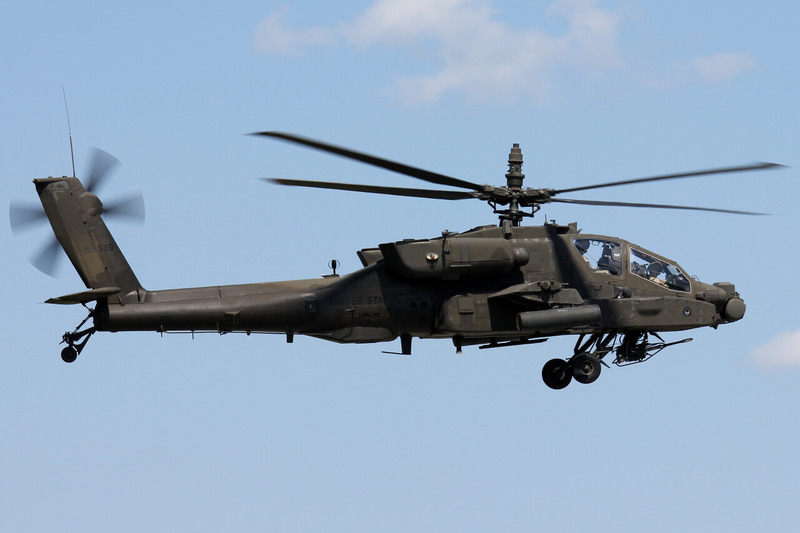 The system was originally developed in Germany during WW2 by Anton Flettner, who was brought to the US post-war and became chief designer at Kaman. 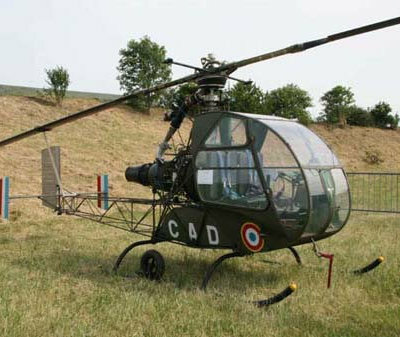 Initial variants of the helicopter were powered by piston engines but later turbine models was produced and used extensively in the Rescue role. Around 190 examples of all variants were produced and they were retired from active service by the mid-1970’s. This title contains three flight manuals covering the Kaman HTK, HOK/HUK and HH-43B helicopters. The files have been scanned from the original flight manuals and retain any colour pages. 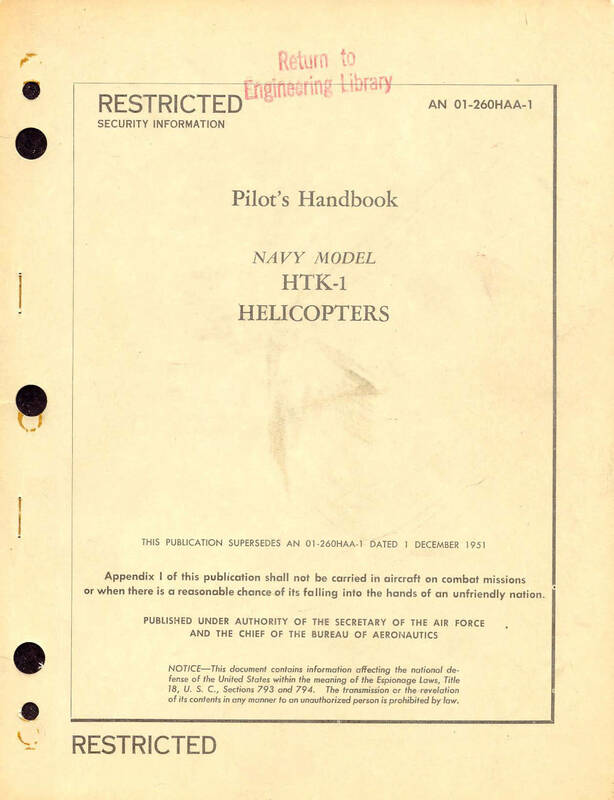 US Navy Pilot’s Handbook for the Kaman HTK helicopter, AN 01-260AAA-1 dated 1-9-52 with approx. 52 pages. 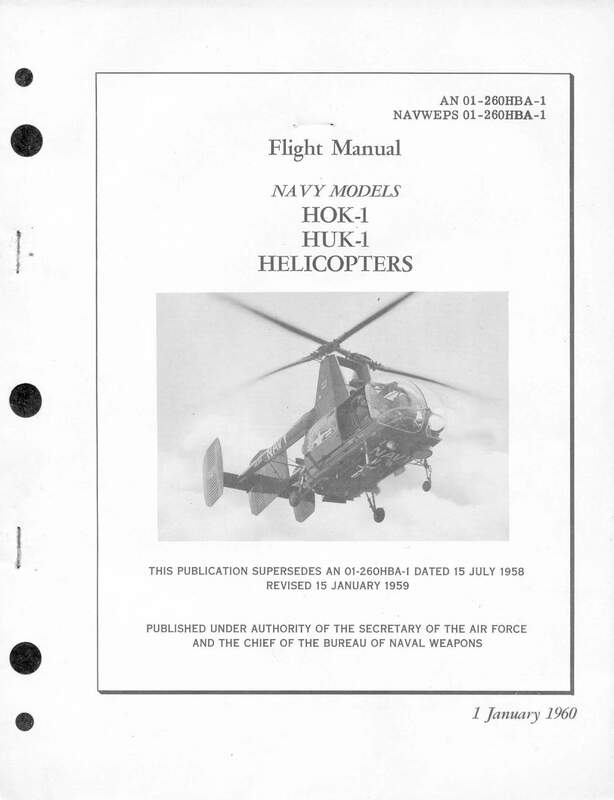 US Navy Flight Manual for the Kaman HOK HUK helicopter, AN 01-260HBA-1 dated 1-1-60 with approx. 133 pages. 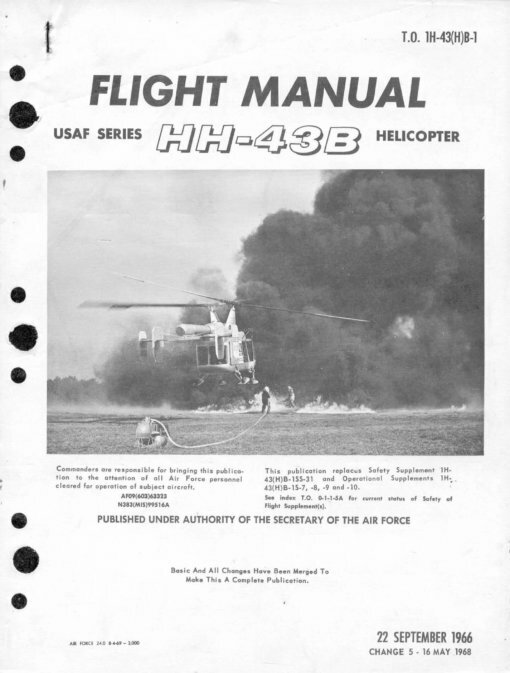 USAF Flight Manual for the Kaman HH-43B helicopter, T.O. 1H-43(H)B-1 dated 22-9-66 revised to 16-5-68 with approx. 196 pages.